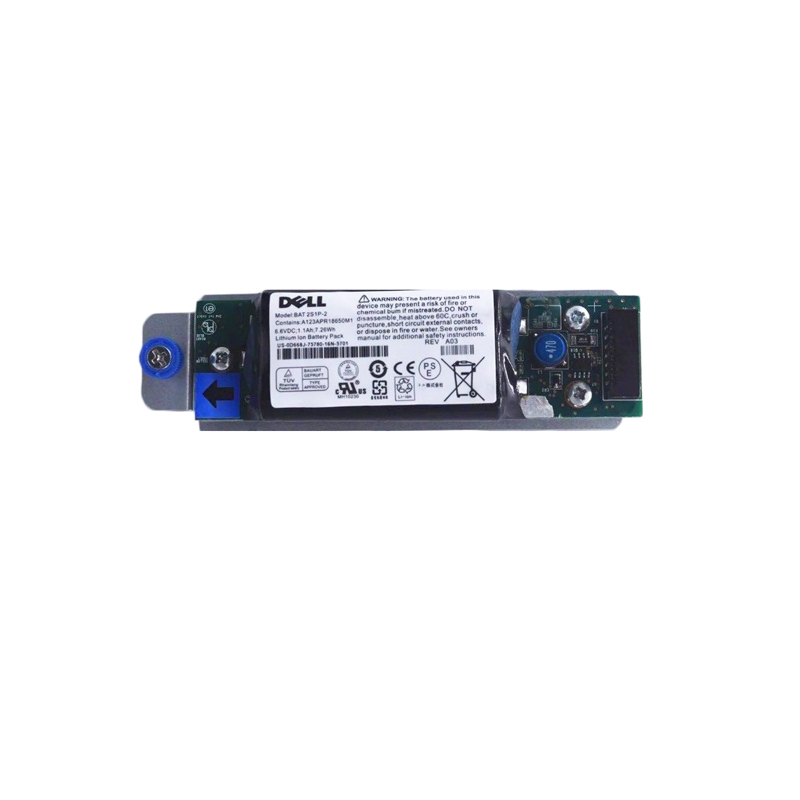 New Dell D668J Powervault controller battery for the MD3200I and MD3220I storage arrays. Whether you’re upgrading your Dell PowerVault storage system or simply looking for a replacement controller battery, we have what you need. If you don’t see the part listed that you’re looking for, please use our Contact Us form; as we have many parts in inventory that are not listed. Please note that all Dell PowerVault controller batteries, systems and parts are used / refurbished (unless noted), and backed by a 60 day warranty. Same day, expedited, and international shipping available. RAID controller batteries for the Dell PowerVault system allow for dedicated battery-backed write cache and support. Each RAID controller contains Lithium ion nano-polymer battery backup units (BBU) to provide power to the RAID controller module in the event of a power outage.